I rarely talk about cosmetic products as most usually don’t make me feel enthusiastic about them. But when I find something that instantly relieved my dry, itchy skin, I had to share it and I have to order some more soon. That Etsy site is a wonderful mix of every little thing you can imagine and some absolutely wondrous things can be found there if you are lucky to stumble upon them. I ordered some soaps and a body butter lotion from this shop – Sunbasilgarden. 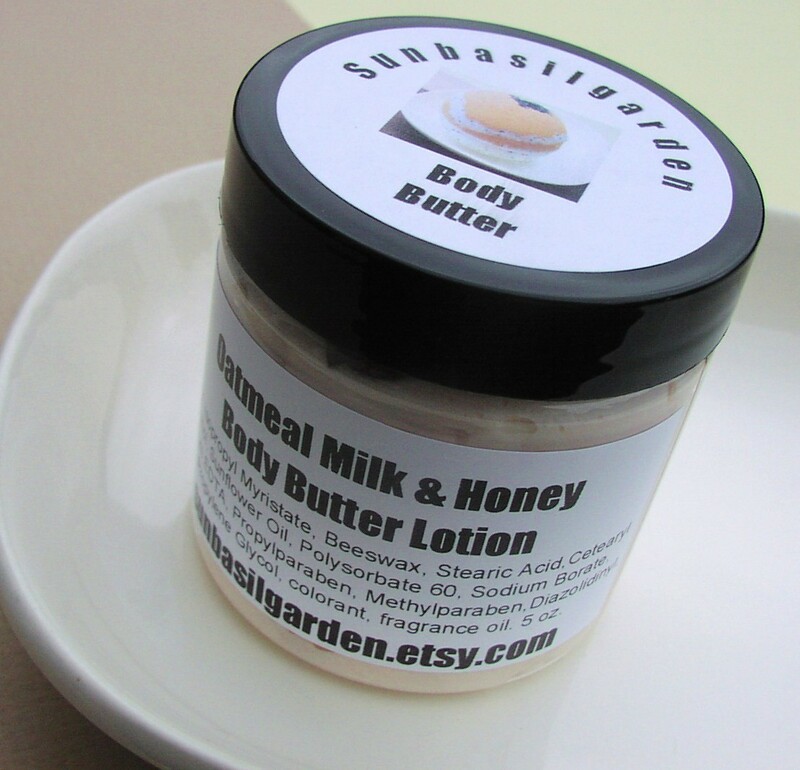 I haven’t tried the soap yet but I did try the Oatmeal Milk and Honey Body Butter Lotion which smells great (and light) and feels absolutely wonderful on skin. It instantly gets into the skin and relieves any itching caused by dry skin. It’s really incredible and I’m always looking forward to applying it as now I know what I can expect and it feels like my skin is happy in advance knowing what’s to come . I also find its texture great because it looks and feels whipped and makes such a sound when you scoop it out of the jar. I have to check and see if all other lotions are made from the same ingredients so I can try them in other variants (but I’m guessing they are). No problem. 🙂 Hope you try it and enjoy it.